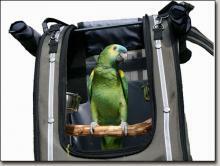 When the weather's nice, your pet bird would enjoy nothing more than a hike around a lake or even just a walk around the block, and these bird carriers are intended just for that purpose. 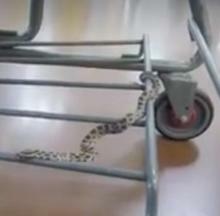 A Walmart shopper stuck with a rattling cart found that instead of a loose wheel, a stowaway snake was causing the problem. 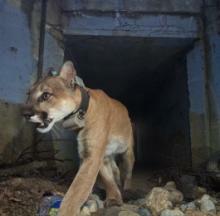 The so-called “Culvert Cat” is the only mountain lion recorded using a two-football-field-long underground tunnel to cross busy Southern California freeways. 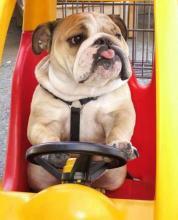 I sure love coming to the grocery store with Mom, especially when she lets me drive. This cute cat food can makeup pouch features a faux pull tab on its lid but closes with a zipper so kitty won't come running. Okay, sonny! Get off my reef! 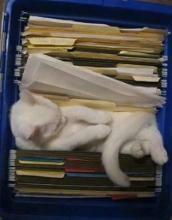 It's fragile and I'm not letting anyone mess it up! If the matatabi stick is attractive to your cat, she will have 1) another activity in her repertoire, 2) cleaner teeth, and 3) some very happy times!